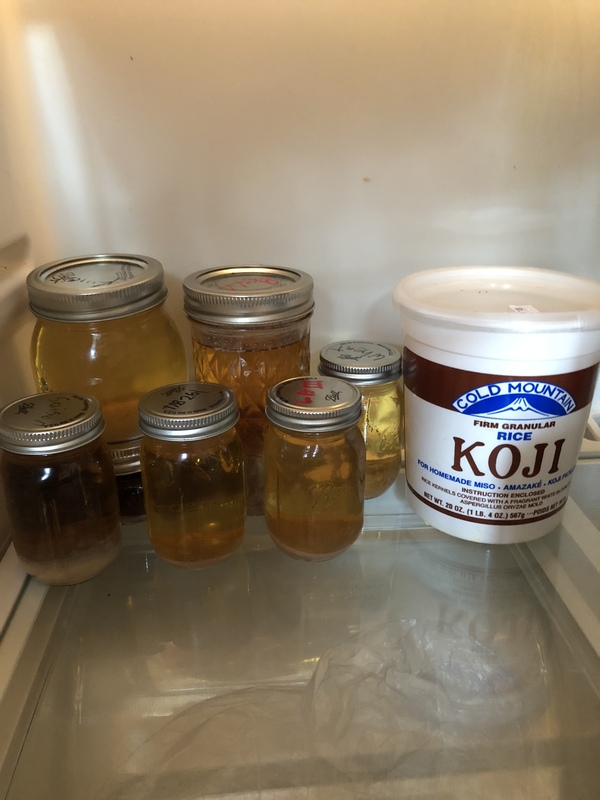 Let’s see some pics of harvesting and other yeasty experiences. 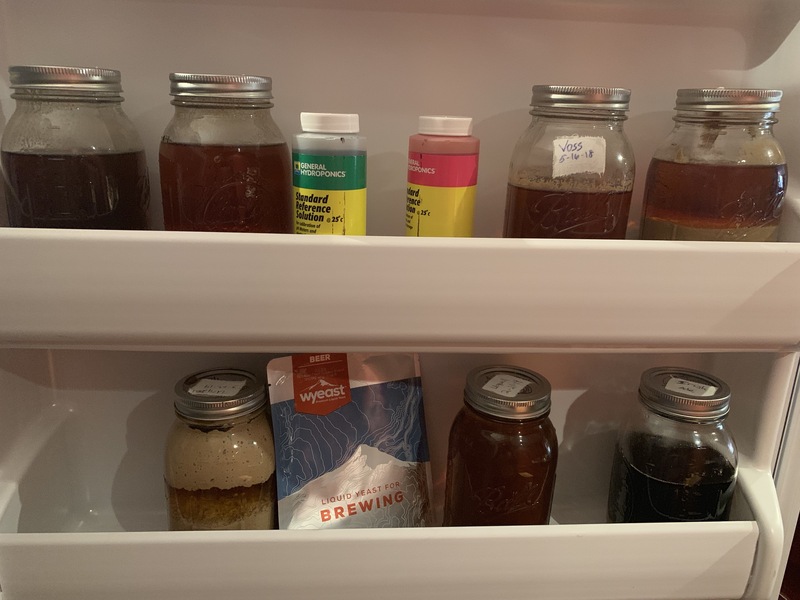 Here’s my current collection which includes 2 Saisons, 1 Brett combo, 1 Kviek combo, Voss, London Ale III, and something called House Strain which is a forgotten combination of yeasts that should probably be tossed. This is about the limit of what I can store without displacing real food. I won't bother with a photo because all I have right now is some Kveik in a Miller Lite aluminum bottle labeled with a Post It. My wife drinks Lite and likes the aluminum bottles. I find them handy to sanitize and use for a non-breakable container. I agree but I had to go with what was on hand. The up side is I can take it with us going north and no fear it will break. I really need to do something with that Koji. We just never have any rice in the house because my wife became anti-rice after all the contamination news came out. My current collection. I tossed a bunch last month because they froze and I didn't have confidence in using them again. 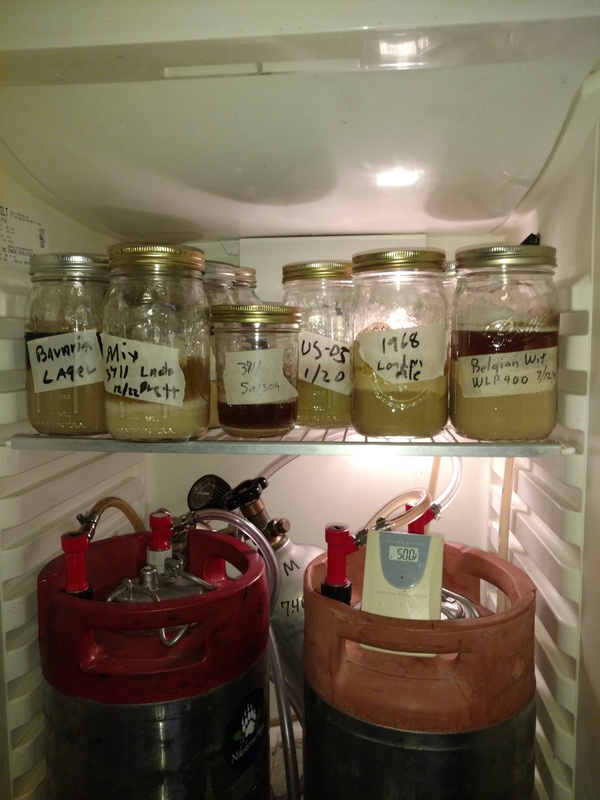 A couple of 1272, a couple of urquell, 1056, oktoberfest smack pack, Voss vkeik and hornindal kveik. Used a saved london ale yesterday on the bitter I brewed. I just leave a little beer on the cake, swirl it up and dump in the mason jar. Most of those have somewhere between 200-400ml yeast with a big beer cap on top. You have a fancy labeling system like me! I'll bet they'll be pissed off at you and refuse to ferment your wort. Best use for a Miller Lite bottle I can think of.